Creating a beautiful life, one craft at a time. 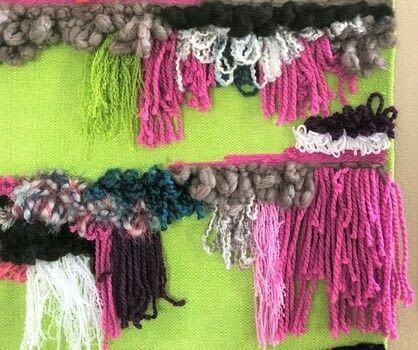 https://www.cutoutandkeep.net/projects/diy-large-wall-hanging • Posted by Holly L.
I've gone a little crazy for wall hanging for the past few years and have them all over my house. I've been wanting a new one and recently figured out a way to make one that's super easy and fast! I used a rug, sewing machine and yarn to create this vibrant wall hanging and love it. 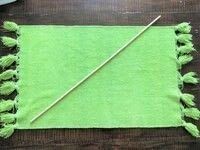 Start out with a rug and wooden dowel. I found this rug at the Good Will for $1. You can use a ruler and sharpie to draw lines as your guide. 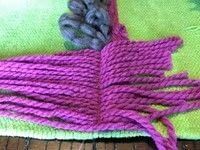 Sew chunky yarn to the rug using a straight stitch. 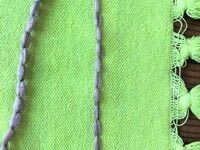 Start adding more textures and start creating a design. 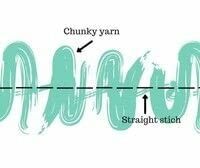 You can use a toothpick to fluff up some of the yarn. 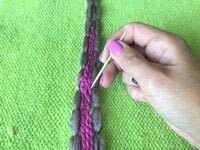 You can place chunky yarn on the rug in a zig-zag pattern and sew with a straight stitch down the middle. 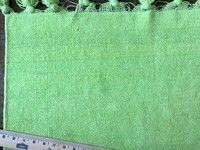 You can also cut yarn into equal lengths and sew down the middle. 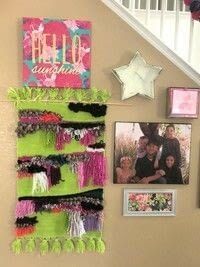 Keep adding yarn until you are happy with your wall hanging and hang for everyone to enjoy!